Anne O’Donoghue is an accredited immigration law specialist and registered migration agent with over 20 years of experience. She is the director and principal lawyer of Immigration Solutions Lawyers (ISL). 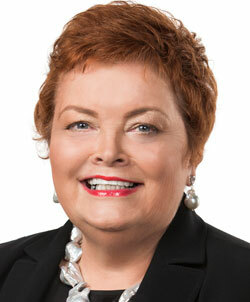 Ms O’Donoghue’s expertise lies in assisting high-net-worth individuals who wish to invest in the Australian economy, as well as Australian and multinational companies in relation to their employment of foreign workers. She has assisted businesses in the fields of construction, mining, health, media and technical services. Ms O’Donoghue’s clients include both small start-up businesses and well-established industry leaders. Ms O'Donoghue regularly speaks on immigration matters at international conferences, including, the annual conference of the International Bar Association (IBA) and it's Global Immigration Conference held every two years, the Union Internationale des Advocats (UIA) and the Hong Kong Investment Immigration Summit. Anne has been recognised on multiple occasions for her work as an active leader in the field of immigration law and has won many awards including the Corporate Immigration Lawyer of the Year Award at the Corporate International Global International Awards 2014. Her firm has been listed in Who’s Who Legal: Corporate Immigration, for five consecutive years (2011-2015). Ms O'Donoghue has published extensively on immigration issues. Full details of her publications can be found on her firm’s website.